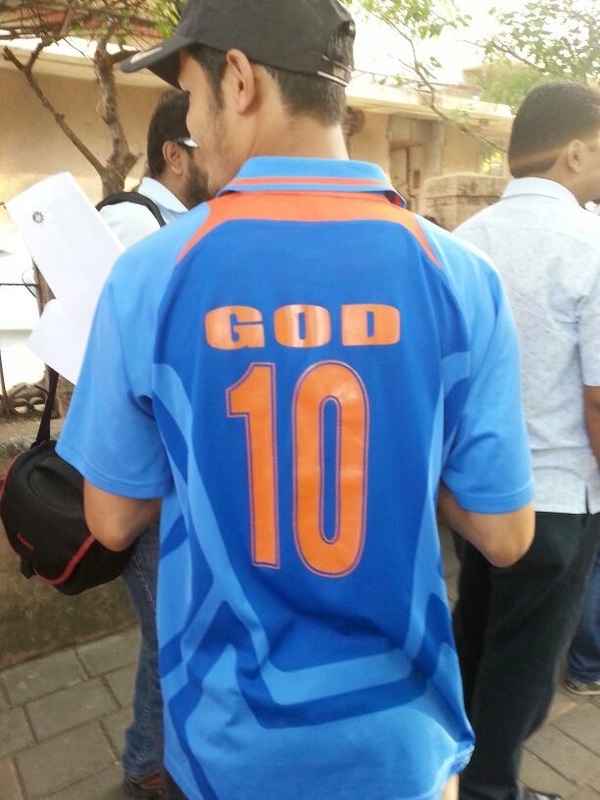 Almost every Sachin Tendulkar fan has been paying tribute to him. The Master Blaster is highly touched with such a response which he has been getting from his fans worldwide. The 40-year-old's remarkable career has won him millions of adoring fans. It is hard for them to imagine the sport without their icon. 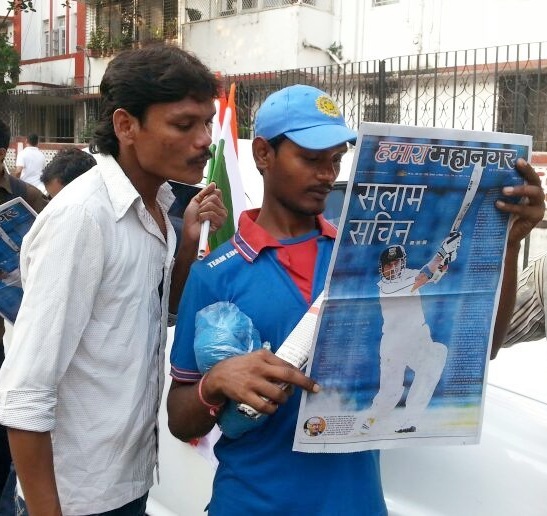 Tendulkar is set for an emotional farewell but are the fans ready to let go their ‘Little Master’? 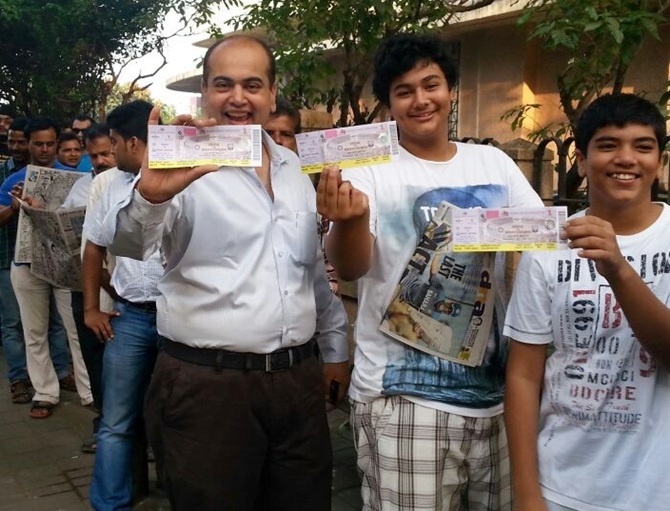 All the tickets made available to official ticketing partner by the MCA were sold out within 15 hours of going on sale. 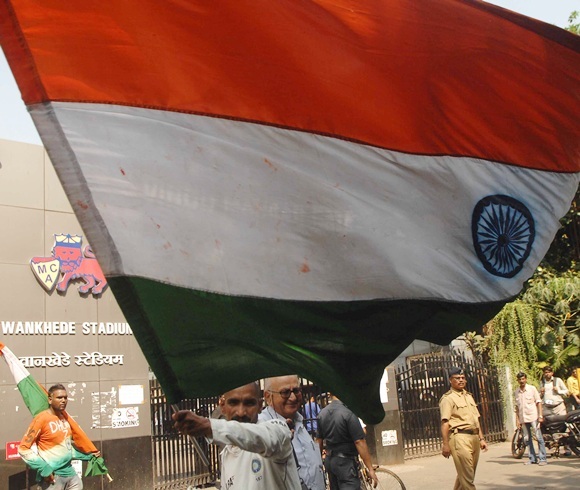 The official ticketing partner for the second India versus West Indies Test was swamped with huge number of surfers, who wanted to buy tickets for the much-awaited match, and, during this time, the website received sustained amounts of traffic and demand remained unabated till the very end. 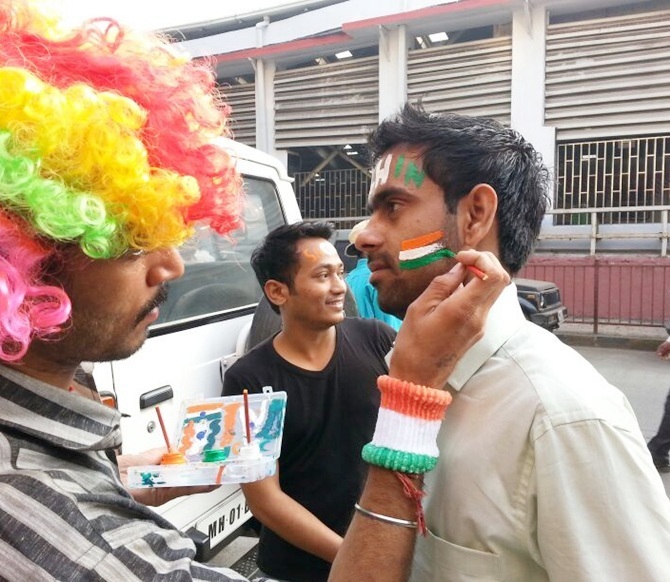 Around 3,000 tickets were made available for sale, excluding the 1,500 special tickets priced at Rs 10,000. The price category for the online sale was -- Rs 500, Rs 1,000 and Rs 2,500. 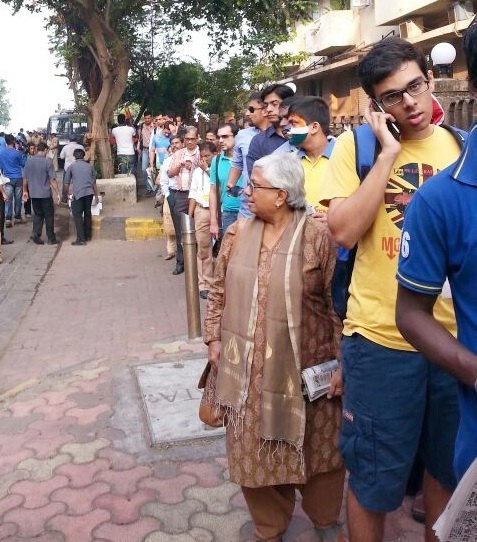 The Wankhede has the capacity to seat 32,000 people. 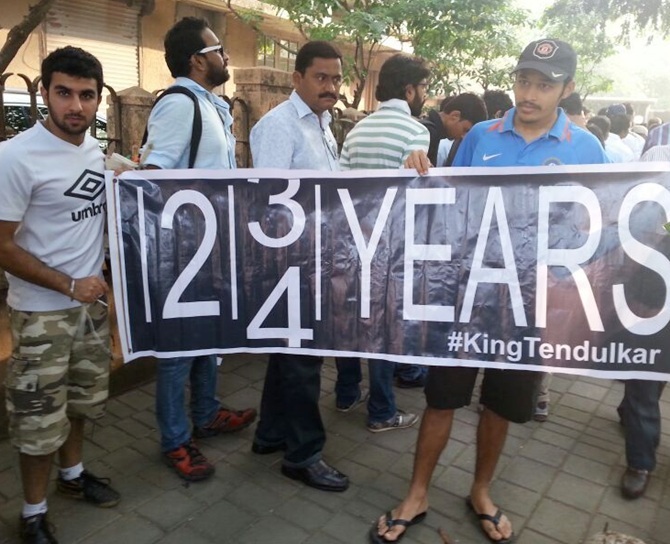 The madness surrounding Tendulkar has reached a near-hysterical crescendo.